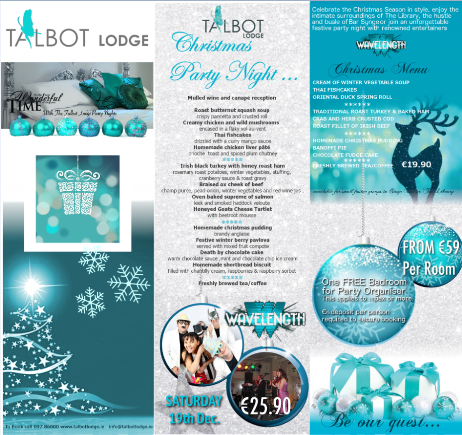 As the nights begin to draw in there is no better sign that one of the best times of the year is fast approaching.... we’re already planning the best Christmas 2016 Party Nights Season in Mayo, so why not celebrate Christmas in style at The Talbot...... from Mistletoe to Martini's we have it all, live entertainment, mouthwatering food, decadent rooms making this Christmas season without a doubt "the most wonderful time of the year”. Celebrate in style and enjoy a night to treasure in the AA Rosette for the third year running, Winning Barony Restaurant. The relaxed and stylish ambience of the Barony restaurant reflects the sophisticated feel of the Talbot with a fresh, unpretentious approach to top quality dining. 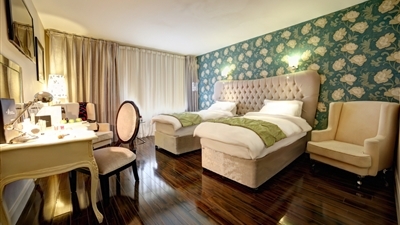 If you're looking for somewhere that's stylish, a little out of the ordinary and a little bit special, with an attention to detail and a dedication to fresh local produce, you need venture no further. 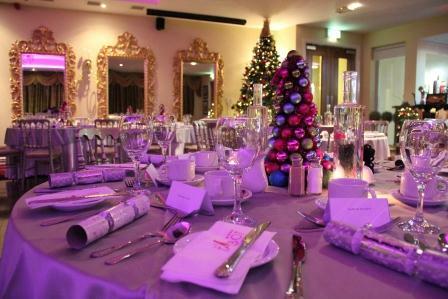 Enjoy a sumptuous five course meal for €35 per person. We are also very proudly home to the Best Young Chef in Ireland as voted by the Yes Chef Awards 2016, our very own Brian Murphy. 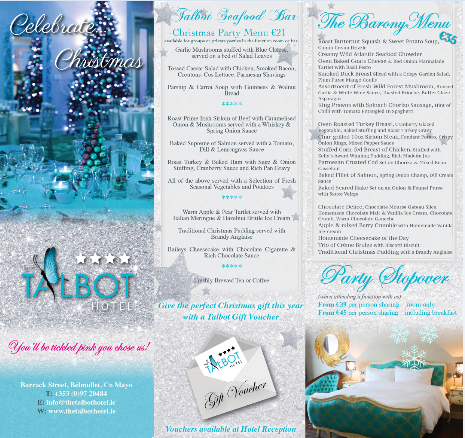 The award winning Talbot's Seafood bar, offers a casual style of dining perfect for a Christmas staff lunch. Winner of the Best Seafood Restaurant in Connaught 2016. Why not try our tapas nights available on Saturday 10th December and Saturday 17th December. You can indulge in a variety of tasty treats including Tapas and fabulous Gourmet Pizza fresh from our woodfire Pizza Oven all served with a glass of house wine or beer followed by live music and a Disco. Dance the night away. . Contact reception at 097 20484 to reserve your tables.